It has been confirmed that a mobile version for all mobile platforms will be coming! Hi Jason! Yes, it will be available globally for iOS, Android, and Windows 10 mobile and desktop. 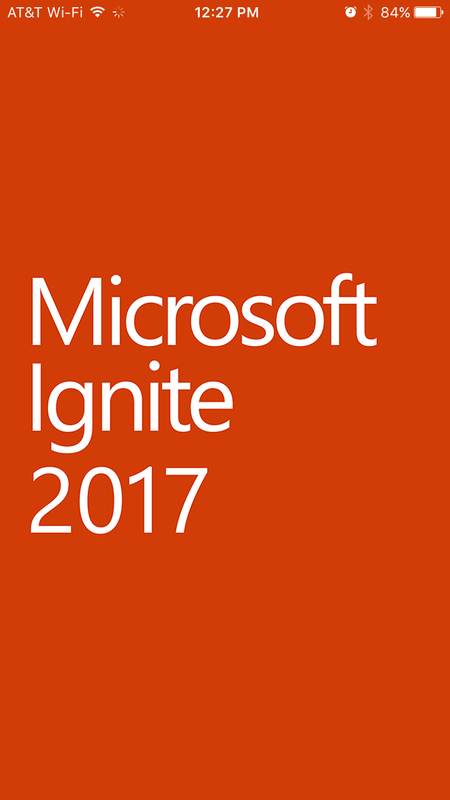 The Microsoft Ignite conference app has been updated to show the content for 2017. It really helps to keep your schedule and help with taking notes during sessions. Make sure you install the latest update to the app on our phone (all screenshots below are from the iOS app). You can view my first review of the app in the video below. As I said in the video, I suggest your first action in the app be to check your profile settings. You can get access to your profile by selecting the menu in the top left and then selecting your name. Within your profile, you can edit your details, view your session notes, and read your messages. Make sure your sharing options are set the way you want them to be by editing your settings. #MSIgnite is happening September 25th – 29th in Orlando, Florida, USA. Conference details can be found on the MSIgnite site and in the app.